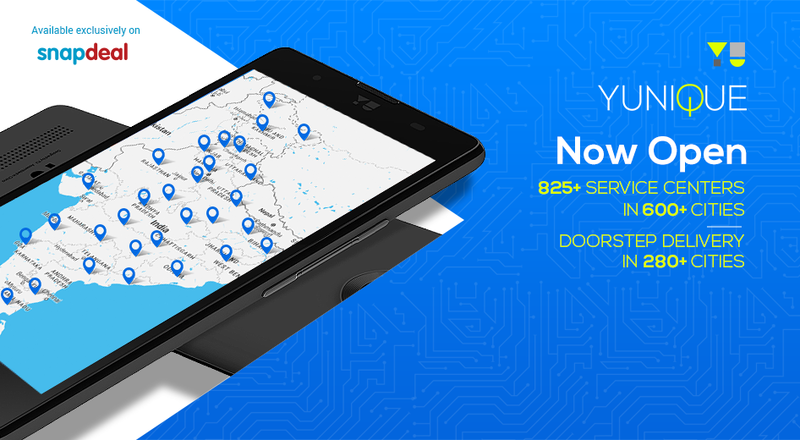 YU has announced the availability of its offline service centers in more than 600+ cities. The offline service center was promised in the #FutureMeetsPast event held on 8th September, 2015. Today the company took to social media to provide the details regarding the same. The services are now available in more than 600+ cities with 825+ service centers as well as existing door-step service which is now increased to 280+ cities. The service centre facilities are available only for all YU devices i.e. Yureka, Yuphoria, Yunique, Yutopia. "If you're buying a phone online then why you should be going to an offline service centre"
however the online service model wasn't that successful because of longer waiting period, delayed support, lack of transit availability and so on. A large group of users were extremely dissatisfied with the online only service. We are sure this new announcement will come as a relief for those customers. It is worth noticing that the new service centers are nothing but existing Micromax Service Center. However that shouldn't matter much to the users as you can now repair your device offline too.